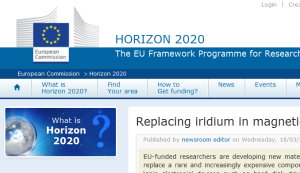 HARFIR has been featured just yesterday in an article on the EC’s Horizon 2020 website. 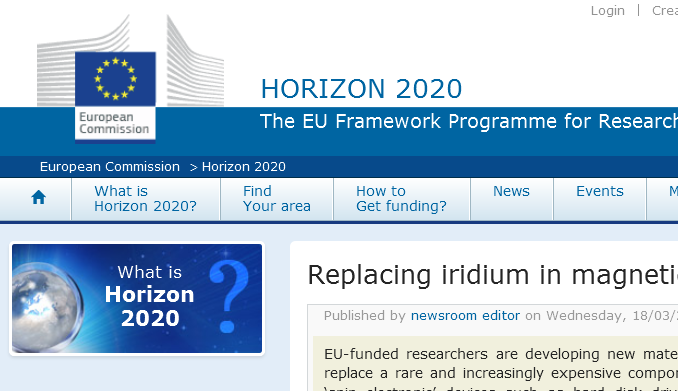 It is entitled “Replacing iridium in magnetic storage devices“. The project’s Scientific Coordinator, Prof. Atsufumi Hirohata, was consulted on the article and several of his quotes are included in it.